Mankind learned to invest a long time ago, but investment banking has a relatively short history. It wasn’t until the Dutch East India Company, VOC, started issuing bonds and shares of stock to the general public that investment banking saw the light of the day. But since then, the services provided by investment banks has grown exponentially and it is today considered to be one of the most lucrative segments of financial institutions. Investment banking is different from commercial or retail banks in the fact that they do not take deposits. But this is not the only difference, there are other things that make investment banking unlike any other form of banking. There are a number of functions performed by investment banks. Investment bankers in the U.S. must be a licensed broker-dealer and they must follow the rules and regulations laid down by the Securities and Exchange Commission (SEC) and Financial Industry Regulatory Authority (FINRA). 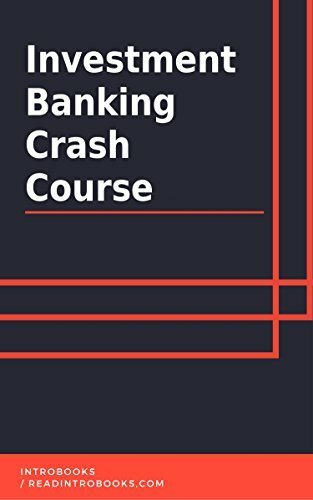 Knowing the history of investment banking, the manner in which it has evolved over the period of time and the different services that it offers can help anyone who wants to be an investment banker or who is interested in investment banking.